You know those moments in life when you're struck dumb? Those “Aha!” moments, if you will? Well, I had one of those at church on Sunday. I was listening to a talk (like a mini sermon) that was given by the Bishop of our ward (the leader of my local church branch), who also happens to be our good friend AND channel 13 news anchor, Dan Evans. As you can imagine, he is an incredible story-teller. He told a story of a Christmas experience he had as a boy. As all kids do, he anticipated Christmas and was excited about it for months. He carefully thought out his Christmas list, enjoyed the magic of the holidays, and could hardly sleep once Christmas eve arrived. On Christmas morning he was overjoyed to find that he got everything on his list! Santa had come through! But his Christmas was suddenly shattered when he realized that his two brothers each got flashlights…and he didn't. He was crushed. Why did they get flashlights? Where was his? It didn't seem at all fair. He spent the rest of the day in the corner of the room, wrapped in the sleeping bag that he had asked Santa for, sulking with the head flap pulled over his eyes. His Christmas day was ruined… all because of the lack of a flashlight; one that he didn't even realize he wanted or needed until he saw that someone else had it. We all have our “sleeping bags”, and we were all given them for different reasons. We each have our gifts, talents, blessings, and even material possessions that were meant for us. Many times we even ASK for these things…and then once they are given to us, don't even notice because we are off and yearning for something that someone else has. Funny analogy, sure. But really, isn't it true? I know for me, this is a major weakness. I am a “someday when…” girl. I dream. Big. And while there's nothing wrong with dreaming and setting goals, this talk helped me realize that I'm not stopping and breathing in my moments now. I'm not always stopping to appreciate and being as grateful for the things I have today. In Dan's story, he looked like an ungrateful child. It was easy to pass judgement on his behavior. But…if someone was telling the story about our lives and the things we yearn for, would it make us look ungrateful too? We shouldn't spend our lives comparing ourselves. Spending time yearning for what other people have is indeed an ungrateful act. The grass always seems greener, doesn't it? What we have to remember is that people earn their “flashlights” in different ways. 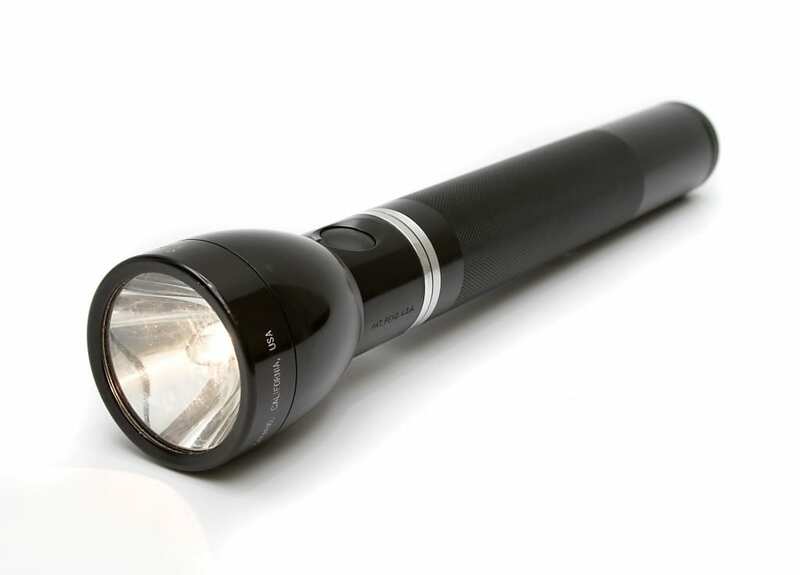 Maybe we aren't meant to have flashlights because, really, how useful is a handful of flashlights when you go camping if you don't have a sleeping bag to sleep in? We are all given things for different reasons. We all earn things based on our work ethic, and priorities. It's not our place to judge what we do or don't have. It's our job to be unabashedly grateful for every ounce of what we have, and to live every day praising everything we believe in for the glorious blessings we have. Then, if we desire more, we need to humbly hit the grind stone and use some good ol' fashion work ethic to get it…rather than sulking in our sleeping bags when someone doesn't come along and hand it to us. This Christmas I hope we can teach our kids to enjoy our sleeping bags. And more importantly, I hope we as adults can all do the same. May your Christmas be the best one yet! Amen to that, girl. It’s SO easy to either be in the past, or look to the future instead of being in the NOW. Everyone of us has so much to be grateful for, what a great post to remind us all of that! Thanks for the comment, Rho! I know, it’s all too easy to look around rather than looking ahead, isn’t it? Thanks for sharing! Thanks for the story. I am the same way. I dream big and my head is in the clouds way too often. I am working on getting out of debt and getting to where I can have my dreams (one of which is no debt). Thanks for the work you put into your blog and the help and encouragement it is. This post was convicting. I, too, was guilty of that as a child and notice that it pops up in my adult life when I begin to compare myself. As I reflected on my year this Christmas, this was the first time I did not envy others in their better situations in life. I found myself super grateful for all that the Lord has bestowed upon my husband and I. Thanks for sharing this as I’m sure I’ll continue to reflect and am sure that my old enemy, envy, will attempt to rear it’s ugly head. Maria, thanks so much for sharing!! I’m glad the story touched you like it did me. Thanks for reading and for sharing your inspiring thoughts.